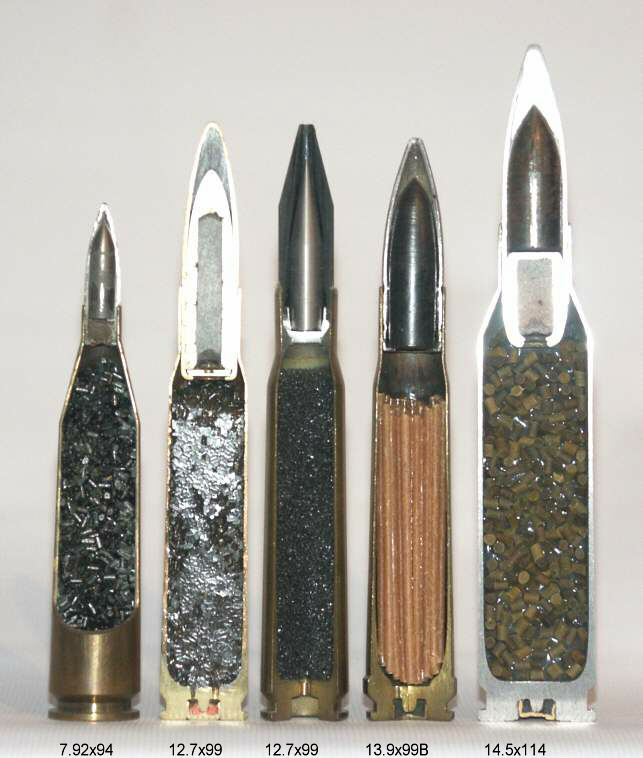 Since the introduction of smokeless ammunition powders and the high muzzle velocities which they made possible, there has been a constant search for improved ballistic performance for both civilian and military purposes. However, these searches have had different objectives which have led to different outcomes. 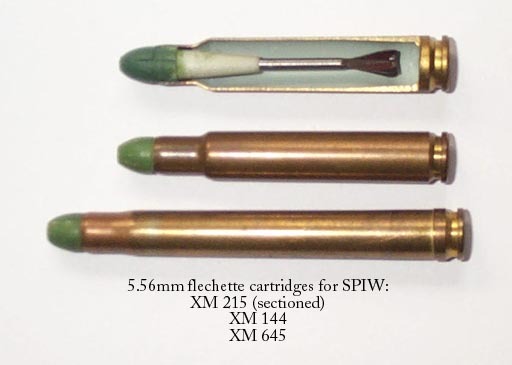 For civilian use, the immediate attraction of the new, small-calibre cartridges was the flat trajectory which enabled hunters to take game at much longer ranges than had previously been feasible. High velocity became a selling point in its own right, sometimes being incorporated into the name of the cartridge, as with the Savage .250-3,000, referring to the calibre and the muzzle velocity. More controversially, high impact velocity was also claimed to improve killing power through its shock effect. In practice, it took many decades of development before bullets designed for high-velocity hunting rifles could be depended upon both to expand reliably and to hold together for deep penetration. The prestige marketing image of high velocity sometimes had the unfortunate effect of persuading manufacturers to offer loadings with bullets which were really too light for maximum efficiency just so that they could advertise a spectacularly high velocity. Perhaps the best example of this was the Winchester .220 Swift, which when introduced 60 years ago propelled its 48 grain bullet at 4,110 fps. It also led to some makers introducing "over-bore" cartridges with more powder capacity than could be efficiently utilised, of which the .244 Holland & Holland Magnum stands out. This massive cartridge was based on the .375 Hollands big game cartridge necked down to 6mm. The claimed muzzle velocity of 3,500 fps with a 100 grain bullet was questionable, with measured velocities being around the 3,300 fps mark - no better than the much smaller .240 Weatherby Magnum. Despite the impressive ballistics of modern Magnum rifles, less powerful cartridges still remain very popular. There are probably three reasons for this; the cost of the oversized Magnum ammunition, the excessive barrel wear caused by the high pressures and temperatures generated, and in larger calibres the sheer unpleasantness of firing the beasts, which tend to suffer from excessive recoil and muzzle blast. These are high prices to pay to achieve what is often only a marginal improvement in effectiveness over standard-velocity cartridges. 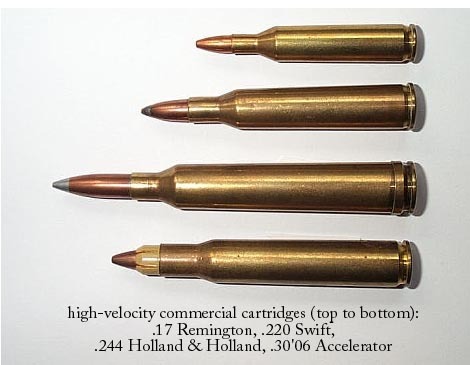 Some small-calibre cartridges are still available with light bullets for the American sport of "varminting", where given the small size of the targets nothing much matters except the flattest possible trajectory. However, even the .220 Swift is now loaded down to 3,780 fps with a 50 grain bullet. It is also available with a 60 grain bullet at 3,600 fps, which is a more efficient loading in that it generates more muzzle energy as well as sustaining its performance out to longer ranges; at 300 yards, the 60 grain bullet has 60% more energy than the 50 grain. In order to enable large-game hunting rifles to be used for varminting, Remington borrowed from military practice and developed sub-calibre discarding sabot loadings for the .308 and .30'06 cartridges, known as the "Accelerator" rounds. These consist of a .22 bullet encased in a plastic sleeve, enabling it to be fired from a .30 calibre rifle at high velocity; the .30'06 achieves 4,080 fps. This edges out the fastest full-calibre loading, currently achieved by the tiny .17 Remington which manages 4,040 fps. It seems unlikely that these velocities, first achieved so long ago, will be exceeded in the foreseeable future in the commercial sector. The military has also been interested in high velocity, but for a variety of different reasons, which have led to several different approaches: the use of "magnum" cartridges; of lightweight full-calibre projectiles; and of various types of sub-calibre projectiles. As far as infantry rifles were concerned, the attractions of high velocity were the same as those which prompted civilian developments; to achieve a flatter trajectory for a longer effective range. Britain was particularly anxious to achieve this after the experience of the Boer War, in which the early low-velocity Marks of .303" were outclassed by the Boers' 7mm Mausers. This led to the development of the .276" Enfield, effectively a 7mm Magnum half a century ahead of its time. Despite the problems of recoil, muzzle flash and barrel wear, this might have been accepted for service had the First World War not intervened. It would have been ill-suited to the demands of that conflict, although admittedly it would have formed the basis of a first-class sniper rifle. The First World War demonstrated that long range was not a major priority for the standard infantry rifle. This lesson was driven home in the next conflict, which saw the introduction of the intermediate, low-velocity assault rifle cartridge in the German 7.92x33mm Kurz, followed a few years later by the comparable 7.62x39mm Kalashnikov round. NATO was slow to respond to the success of the Russian AK47, still being wedded to the notion of a single, high-velocity small-arms cartridge for all purposes; the 7.62mm NATO. The USA eventually produced the .223 Armalite, thereby achieving both high velocity (3,250 fps) and a short range by virtue of the light (55 grain) bullet. Now adopted as the 5.56x45mm NATO, the loading has been altered to a heavier bullet at a lower velocity in the interests of achieving a longer effective range. It is interesting to note that various abortive efforts to produce an "ideal" small arms cartridge (the British 7mm EM2 and experimental 6.25mm, the American 6mm SAW) have usually settled on 2,500-2,600 fps as an optimum muzzle velocity. Nevertheless, the benefits of achieving the flattest possible trajectory, to minimise aiming errors and simplify firing at moving targets, still attract experimentation. The largest-scale attempt was the American SPIW (Special Purpose Infantry Weapon) programme in the 1960s, centred around a new flechette cartridge, firing a slender, fin-stabilised steel arrow in a discarding sabot at up to 4,800 fps. This idea was revived in the 1980s' Advanced Combat Rifle Programme, but along with other new ideas (e.g. the Heckler & Koch caseless rounds) was rejected as offering insufficient benefits to be worth adopting. 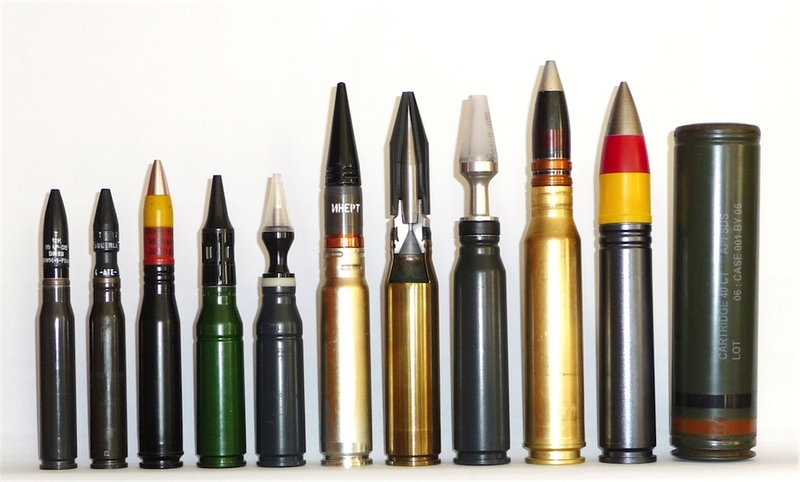 One recent development is the reported adoption by the Norwegian Army of a discarding sabot version of the 7.62x51mm NATO round for sniper use. The projectile is understood to be smaller than 5.56mm calibre, and if the comparable 7.62x51mm SLAP (see below) and Remington Accelerator rounds can be used as a guide, muzzle velocity will be in the region of 4,000 fps. Despite this, the 3,000 fps of current military rifle rounds looks as if it will remain the infantry standard for years to come. Air forces found a different reason for seeking high velocity from aircraft guns; to minimise the time of flight of the projectile and therefore improve the chances of hitting a fast-manoeuvering target. The degree of this concern varied according to circumstances. Towards the end of World War 2, the Luftwaffe was mainly interested in knocking down the well-armoured but slow-manoeuvering B-17 Flying Fortress bombers. Velocity therefore took second place to hitting power and the most popular weapon became the 30mm MK108 cannon, firing a large shell at only 1,650 fps. The USAAF, on the other hand, was primarily interested in dealing with enemy fighters and had therefore stayed with the .50" heavy machine gun, which achieved a velocity of 2,900 fps with the 710 grain M2 AP bullet. This was not felt to be sufficient as it was estimated that a 50 percent increase in muzzle velocity would triple the hit probability, so two development paths were followed; lighter bullets, and larger cases. The first path led to the development of the 495 grain M23 incendiary loading, which managed a remarkable 3,500 fps in the standard .50 Browning case, and was adopted for service. The second path was more complicated. The USA had two suitable large-capacity cases available; the 20mm Hispano (the RAF’s standard weapon, also adopted by the USA) and the .60" MG, a domestic development which originally began as an anti-tank rifle cartridge but was then used in a variety of experimental machine guns. Experiments with the 20mm necked down to .50" started in 1942 and achieved over 4,000 fps. From 1943, efforts concentrated on the .60 MG round. The .60" MG round was itself an impressive cartridge, propelling a 1,150 grain bullet at around 3,500 fps. Dissatisfied with this, the experimenters produced 750 grain loadings achieving 4,100 fps. The next step was to neck down the .60 cartridge to form the .60/.50, which achieved 4,000 fps with a 660 grain bullet and an heroic 4,400 fps with a 500 grain API projectile. After all this, the US did choose the .60 MG case as the basis for its next aircraft gun - but necked out to 20mm to achieve "only" 3,380 fps! The RAF, worried about the dangers posed by huge Russian bombers, took the Luftwaffe's route after World War 2 and adopted the 30mm Aden, a compact cartridge with a relatively low (2,680 fps) muzzle velocity. More recently, however, the emphasis has shifted back to high velocity and the 27x145mm Mauser (Panavia Tornado) and 25x137mm Oerlikon (Aden 25) rounds achieve 3,450 and 3,600 fps respectively. It will be noted that all of the high-velocity aircraft rounds intended for air-to-air fighting fire conventional full-calibre projectiles. The need to penetrate thick armour has resulted in less conventional solutions. Since the first armoured fighting vehicles lumbered across the battlefield, the need to provide a weapon which could penetrate their armour has held a high priority in military equipment planning. There are two basic ways of achieving this; by explosives (particularly shaped charges) and via the kinetic energy of a solid projectile. The use of explosives, which did not become important until part way through the Second World War, is the only effective technology suitable for guided missiles and light infantry weapons. However, kinetic energy weapons (otherwise known as tank guns) remain the most effective means of dealing with armour. Until the Second World War, the armour problem was not too serious as only a few heavy tanks had any significant thickness of armour, most being protected only against the armour-piercing versions of the standard small arms cartridge. It was therefore feasible for a kinetic energy weapon to be light enough for a single infantryman to use; and the anti-tank rifle was duly born. The granddaddy of them all was the German l3x92mm Tank und Flieger round, which emerged in 1918 in a massive Mauser bolt-action rifle. Velocity was not significantly greater than the standard military rifle, the armour penetration being achieved by bullet weight. Britain followed a similar route in developing the .55" Boys rifle in the 1930s, but by then the German and Polish engineers were following a different path. They had discovered that velocity was extremely important in achieving effective penetration and accordingly designed rifles around cartridges which kept their standard military calibres of 7.92mm but achieved very high velocities through the use of massive cartridge cases. Thus were born the 7.92x107mm Maroszek and 7.92x94mm Panzerbuchse rounds. They both were loaded with heavy bullets for the calibre, weighing 198 and 225 grains respectively. The Maroszek is reported to have achieved nearly 4,200 fps; the Panzerbusche has been claimed to achieve around 4,000 fps although American tests showed only 3,540 fps. Nonetheless, this was sufficient to penetrate 1.25" of armour at 100 yards. Needless to say, barrel wear was fierce, with a maximum of around 200 rounds being possible before performance reduced significantly. While anti-tank rifles soon became obsolete as armour thickness increased, they have recently experienced something of a revival in attempts to deal with lesser-armoured vehicles, often with the dual role of long-range sniping rifles. The smallest example of these is the Conjay Firearms sniper rifle, chambered for the .300 Holland & Holland cartridge (while not the largest .30 Magnum, the tapering case facilitates extraction with high pressure loadings). In its anti-armour role, it fires a 125 grain FFV tungsten-cored bullet at around 4,000 fps, sufficient to penetrate 45mm of stainless steel at 100 metres, although the performance of the light bullet drops off sharply with range. Returning to World War 2, efforts in defeating tanks shifted to tank guns and anti-tank artillery. The use of "magnum" cartridges to achieve the required high velocity was particularly noticeable in anti-tank guns, tank guns sometimes employing a larger calibre at a lower velocity in order to utilise a more effective explosive shell. Perhaps the best-known of the magnum rounds was the German 8.8cm L71, originally designed as an antiaircraft weapon but also used in the "King Tiger" tank, as well as various anti-tank equipment, which achieved 3,340 fps and was the outstanding armour penetrator of the Second World War. In the technical hothouse of the last World War, several different methods of achieving improved armour penetration without incurring the size and weight penalties of the big magnums were sought. The simplest was to design a type of shot which contained a sub-calibre tungsten core surrounded by a fixed light alloy sleeve to fit the bore of existing antitank guns. The whole shot weighed much less than usual, permitting a much higher muzzle velocity. When the shot hit the target, the light-alloy sleeve broke up, leaving the tungsten core to penetrate. This type of shot, known as APCR (Armour Piercing, Composite, Rigid) in British service and HVAP (High Velocity Armour Piercing) to the Americans, was also used by the Germans (who called it PzGr 40 or Arrowhead shot) although to a lesser extent because of their shortage of tungsten. The performance leap could be huge: the 5cm Pak 38 showed an increase in velocity from 2,700 to 3,900 fps with maximum penetration at 250 metres increased from 88 to 141mm. The disadvantage was that the light and wide projectile lost velocity and penetration very quickly and was therefore only useful at short range. The problem was to achieve and sustain a high velocity over battle ranges, which required a large calibre at the chamber end of the gun, for maximum interior ballistic efficiency, but a small-calibre projectile for optimum exterior ballistics and penetrative power. The first attempt to achieve this was a developmental blind alley; the cone, taper or squeeze-bore gun. This was first developed to prototype stage by Gerlich in the 1920s, who demonstrated examples at Woolwich in 1932. A cartridge case, apparently based on an extended .303" (7.7mm) necked out to 9.25mm, fired a 95 grain projectile with an emergent calibre of 7mm at a muzzle velocity of 4,880 fps. The British showed interest and continued to experiment for some years, but the only service weapon using this principle was the 2-pdr Littlejohn (a translation of the name of the Czech inventor, Janecek). The Germans were the first to introduce taper-bore weapons. They required entirely new gun barrels, with a calibre which reduced from the chamber to the muzzle, and a tungsten shot of muzzle calibre, fitted with flanges of chamber calibre. As the shot proceeded down the barrel, the flanges were squeezed into the shot, leading to the nickname "squeeze bore". Anti-tank guns of 2.8/2.0, 4.2/2.9 and 7.5/5.5cm bore were introduced. The velocity champion was the 2.8cm PzB 41, with a 28mm cartridge reducing to 20mm at the muzzle, which achieved a muzzle velocity of just under 4,600 fps. These weapons were highly effective, but doomed in German service because of the tungsten shortage (steel shot would disintegrate on impact at these velocities). The British adopted the same principle with the Littlejohn adaptor, which consisted of a squeeze-bore extension added to an otherwise conventional 2-pdr armoured car gun. Again, it led to a great increase in performance with the around 4,200 fps muzzle velocity, but was unpopular because of the necessity to remove the adaptor before full-calibre HE shells could be fired. In the event, the special shot was sometimes fired without the adaptor (effectively becoming APCR) which worked quite well at short range. Examples exist of a Littlejohn HE shell experimentally produced for the 2-pdr, but this was too small to be worthwhile. The ultimate answer was the APDS shot, or Armour Piercing Discarding Sabot. This was similar to the APCR, except that the light-alloy sleeve was designed to break up and fall away from the shot as soon as it left the muzzle, so the velocity was sustained over a much longer range. 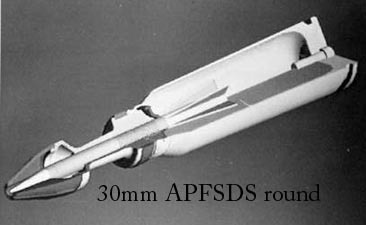 The technical problems were considerable (and accuracy was never as good as with conventional shot) but, once solved, APDS became the standard tank AP ammunition until the development of the fin-stabilised round. The muzzle velocity of the 6-pdr tank/anti-tank gun rose from under 3,000 to over 4,000 fps with APDS; the succeeding 17 pdr APDS also hit nearly 4,000 fps, enough to penetrate even the 68-ton King Tiger tanks at 1,000 yards. The British 105mm L7 gun, optimised for APDS, became NATO's main tank gun through the 1960s and 70s, with a muzzle velocity of 4,800 fps. The same principle has been adopted to allow smaller weapons to deal with more lightly-armoured vehicles. The 30mm Rarden gun, standard fitting to British reconnaissance and armoured infantry fighting vehicles, fires an APDS projectile at 3,850 fps. In still smaller calibres, the US Army’s SLAP (Saboted Light Armour Penetrator) programme led to an APDS round for the .50 Browning (440 grain, 7.62mm projectile at 4,000 fps). More recently, the application of APDS technology to anti-aircraft guns has become a reality. First explored by the Germans towards the end of WW2 (essentially to launch small HE projectiles from the 88mm gun) this is now re-emerging in much smaller calibres of 25-35mm, in the form of FAPDS (Frangible APDS). 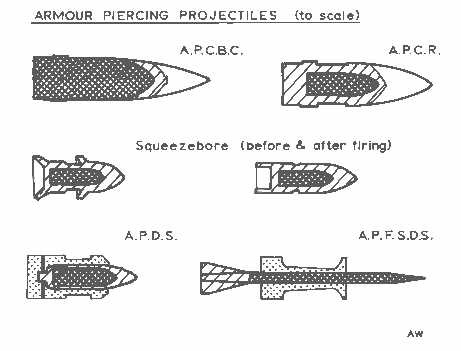 The projectile is the same shape as an APDS shot but is designed to break up into a hail of fragments as soon as it penetrates the target. The major advantage for AA purposes is the much shorter time of flight of the high-velocity projectile, which greatly increases the effective range of the gun. The current state of the art is represented by the APFSDS, or Armour Piercing Fin Stabilised Discarding Sabot shot. This developed because it became apparent that a long thin shot loses less velocity and achieves better penetration than a conventional APDS shot. However, there is a limit to the length of shot which can be stabilised by rifling-induced spinning. It was therefore necessary to introduce tailfins to keep such long projectiles flying towards the target. As the rifling was not required (in fact, it destabilises the long projectiles), smoothbore barrels were developed which also permitted a higher velocity due to less drag. The British have resisted this development because of the resulting loss of accuracy when firing HESH shells, so have retained rifled barrels. Instead, slip rings on the sabot are utilised to minimise the spin rate imparted to the FS projectile. However, 120-125mm smoothbore tank guns have now become standard, achieving muzzle velocities of up to 5,500 fps. This technology is not just applied to tank guns. One of the new breed of portable anti-armour weapons, the Steyr 15.2mm IWS 2000 anti-materiel rifle, fires a 5.5mm fin-stabilised projectile weighing 300 grains at over 4,750 fps, capable of penetrating 40mm of armour steel at 1,000 metres. While the preceding sections have detailed the main uses of the techniques to achieve high velocity, there were some less common applications. Most of these were developed by German engineers during the First and especially Second World Wars, and were concerned with improving artillery performance. The most famous has to be the WW1 Paris Guns, the "magnums" to end them all. These three monsters were created by lining 13.8" naval cannon down to 8.27" and extending the barrel out to nearly 80ft, resulting in the 234lb shell, fired at a muzzle velocity of up to 5,250 fps, reaching a range of over 75 miles. Barrels had to be replaced every 60 or 70 shots; even so, the shells used gradually increased in diameter during the life of the barrel in order to compensate for the barrel erosion. Not satisfied with this, the German engineers had on the drawing board at the end of the war a 12" cannon capable of firing a 660lb shell at nearly 5,600 fps to a distance of 106 miles. In the next war, the velocity king was the 28cm (11") Kanone 5 E railway gun. This fired a 563lb shell at 3,700 fps to a range of 38.6 miles. More spectacular was the K 5 Glatt (smoothbore), in which the barrel was bored out to 31cm (12.2") in order to fire the "Pfeilgeschosse" (arrow shells) - long, thin, sub-calibre fin-stabilised projectiles essentially the same in principle as the modern APFSDS but large enough to contain a respectable quantity of HE. These guns launched the 300lb projectiles at 5,000 fps to reach nearly 94 miles. Another German scheme which saw active service was the Hochdruchpumpe (high pressure pump), a long-range artillery piece which used paired subsidiary firing chambers attached along the length of a very long barrel. It was also known as the Tausendfussler, or millipede, due to its appearance. As the shell travelled up the barrel, each pair of chambers fired after the shell had passed, maintaining the pressure build-up. The smoothbored 6" gun had a barrel 500 feet long and was intended to fire long arrow projectiles weighing l80lb at 4,800 fps. The target was London, 93 miles away, but the first model was destroyed before seeing action. A shorter version, capable of a range of 55 miles, was used in the Ardennes offensive. The British too were concerned about improving velocities from artillery weapons, but for a different reason; to achieve effective high-altitude anti-aircraft fire. The shorter the time of flight to altitude, the more accurate the shooting would be. This priority led to the 3.7" Gun Mk 6, made by "necking down" the 4.5" anti-aircraft gun in order to achieve a muzzle velocity of 3,450 fps and an effective altitude of 45,000 feet. It can only be assumed that a "super anti-aircraft gun" was behind the most remarkable British project; the 6.0/4.5" High Velocity. Plans (dated 1946/7) exist of a Vickers proposal for a 4.5" Littlejohn shell to be fired using a 6" naval cartridge case. The shell was to weigh 50lb and the muzzle velocity would presumably have been in the region of 4,000 fps. The use of the superseded squeeze-bore technology at such a late date can probably be attributed to the lack of any need to fire full-calibre projectiles, combined with the need to avoid the risk of discarded sabots falling back on to the gun crews. Perhaps the most dramatic recent development in super-velocity cannon was the notorious "supergun" being built by Iraq at the time of the Gulf War. This was designed by Dr G V Bull, a Canadian scientist who was subsequently assassinated. He was involved with project HARP, a 1960s scheme to use cannon to fire research probes to high altitude. The ultimate development of this was based on an American 16" battleship gun, smoothbored and with the barrel extended to 126 calibres (172 ft). This was used to launch sub-calibre projectiles to altitudes exceeding 100 miles. Projectile weight and therefore muzzle velocity varied considerably, but it was calculated (probably optimistically) that a 150 lb test vehicle could be launched at over 10,000 fps. The planned Iraqi supergun was much bigger, with a 32" calibre and a 1,000ft long barrel, intended to fire rocket-assisted projectiles with a payload of up to 1,200 lb at muzzle velocities of up to 6,000 fps. As has been described, high muzzle velocity carries severe penalties in size, weight, recoil, muzzle blast, barrel wear and cost. As a result, it has lost much of its original glamour and is now sought only if necessary to achieve a specific aim. In the civilian hunting field, this has restricted its use to circumstances in which accurate shooting at very long range, or against very small targets, is involved, The military are interested for different reasons; to reduce the time of flight (and thereby increase accuracy against moving targets), to extend maximum artillery range, and to improve armour penetration. It is probable that conventional chemistry has pushed muzzle velocities about as far as they can go; the rate of expansion of propellant gasses places a practical ceiling on muzzle velocity of around 6,000 fps. The military are now examining other technologies such as electromagnetic rail guns, which have on test fired 300 gm projectiles at over 13,000 fps, with projectiles of a few grams being accelerated to over 30,000 fps. At the moment, the massive power supplies needed to achieve these results preclude any practical application, but there can be little doubt as to where the future lies.